Stephen Strawn looked for his biological mother for years with no luck. 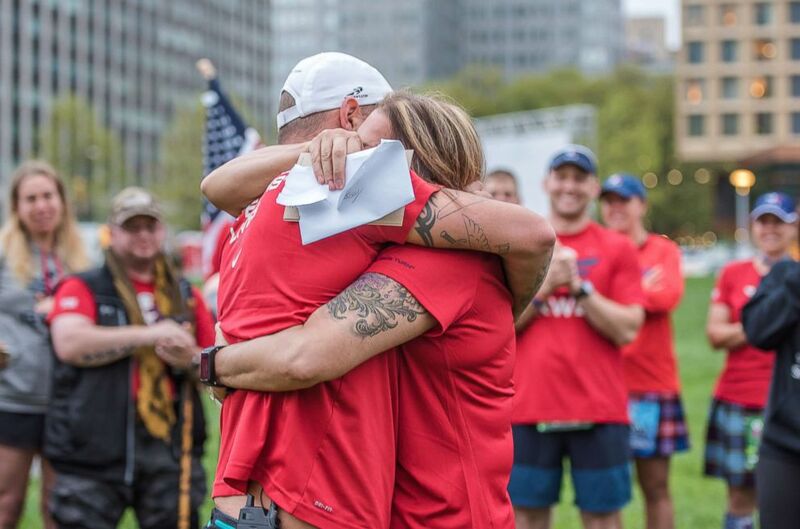 A Pittsburgh mother had something special waiting for her at the starting line of the Pittsburgh Half Marathon -- her biological son. 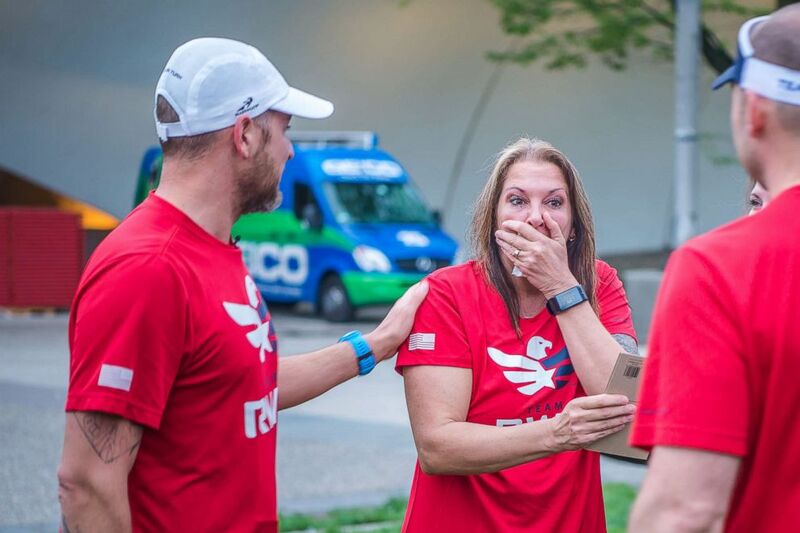 Stephen Strawn, 35, of Ohio surprised his biological mother, Stacey Faix, at the Pittsburgh Half Marathon. However, this is not the first time Strawn tried to find his biological mother. His birth records were lost in a flood, and for years he had no luck finding her. But a new law that went into effect in November 2017 allowing adoptees to request their birth certificate with the original birth parents on it finally allowed him to get the pieces of the puzzle together. He located his biological mother on April 16 and the following morning he made contact, he said. 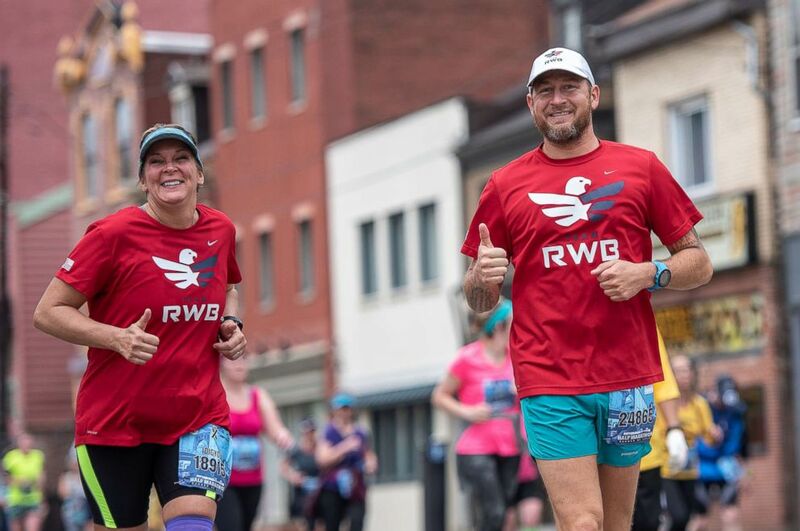 Strawn, who's a veteran, saw Faix was a member of Pittsburgh’s chapter of Team Red, White and Blue (RWB), which supports veterans. 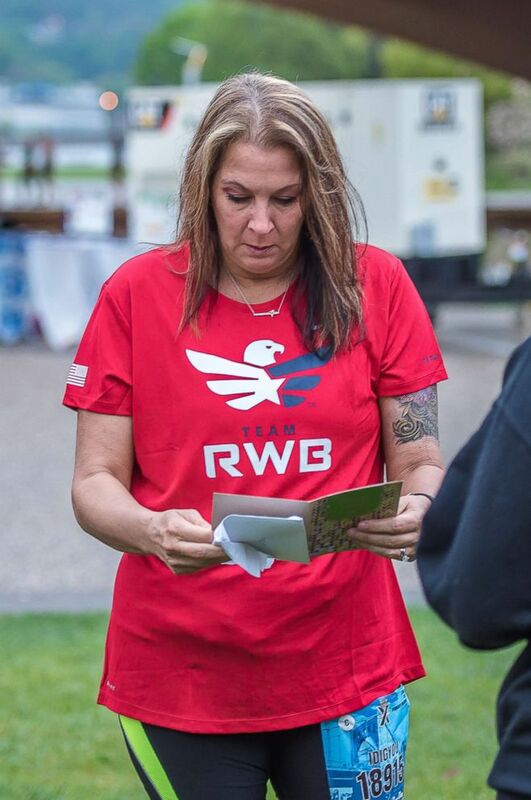 She was running the marathon Sunday with Team RWB. Since he's a member of the Ohio chapter, he got in touch with the Pittsburgh chapter’s president to help accomplish his surprise. “All the support is incredible,” he said. They helped him time everything, get media there, and more. Strawn had to do a little bit of hiding to not be seen, which included him hiding inside a portable bathroom until his wife gave him the all-clear. He wrote Faix a card, which included a line about how it had been 13,075 days since she had last seen him. (Och Photography) Stacey Faix reads card her biological son wrote to her before she looks up and sees him. When Faix looked up, Strawn was standing there. (Och Photography) Stacey is surprised and shocked to see her biological son for the first time. Faix had Strawn at 15 years old and had to give him up for adoption. (Och Photography) Stacey tells WTAE she finally got to hold her son. Faix and Strawn ran the half marathon together. Later, they went to have a cookout where they continued to “ugly cry” and talked with each other. (Och Photography) Stacey and Stephen run the Pittsburgh Half Marathon together after he surprises her and sees his biological mom for the first time. “For the parents, who had to give up their children for whatever reason, don’t lose hope,” Faix said. Now, one of his biological sisters just graduated college. Strawn and his wife will head back to Pittsburgh to celebrate the occasion. He said they plan on having his new family over in Ohio for a summer cookout as well.